I'm a big fan of iS Clinical products including both the active serum and the super serum advance +. I use the active serum on a regular basis but not the super serum. Which is why I wanted to create this post. Ever since I had my boy, I've been dealing with hormonal acne and lots of comedones which have been such a bear to get over! I've been doing lots of skin related therapies including microneedling, peels, and even enzymes. These therapies have been working a little bit, but not quite to the degree that I wanted them to which is why I started the super serum. This is my experience using this product! It may be hard to appreciate but you can see an improvement over the 14-day period for sure. I personally noticed a significant reduction in comedones under my skin (not quite pimples but just congestion of oils/debris). I also noticed a change to my skin as well (it's hard to appreciate the lighting in this photo). One of the only downsides is that I noticed it does burn if you have any open wounds! So be careful when you apply. During this time I also got an enzyme peel (blueberry) which certainly helped as well. 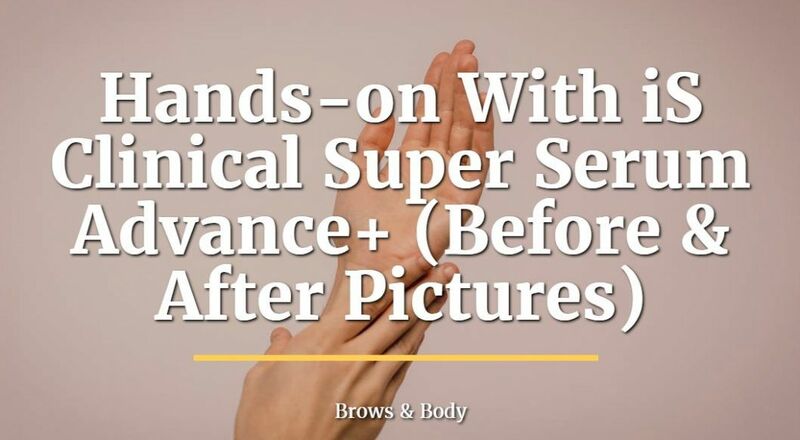 What is Super Serum Advance + Designed to Treat? Ok, so now that you have seen my experience we can talk more about this product. 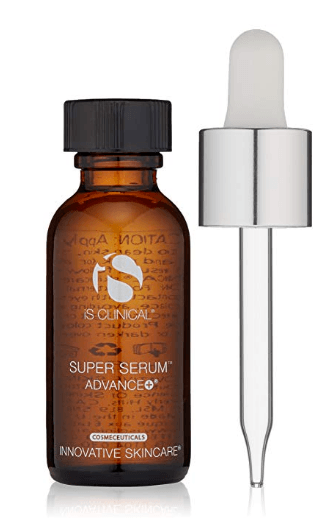 So what exactly is the Super Serum Advance + product by iS Clinical? I think it's best to consider this a product designed to nourish the skin with high doses of Vitamin C and copper tri-peptide growth factors. 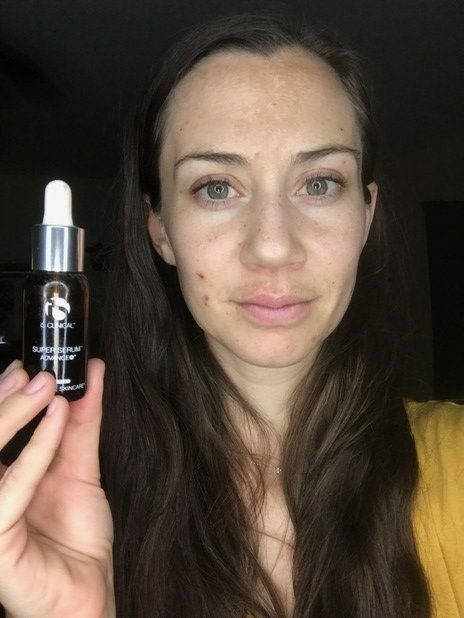 The reason I chose this product to try out on my skin is that it contains a combination of more than just Vitamin C.
If you aren't familiar, Vitamin C serum is absolutely great for your skin and may be one of my most favorite skin products. Vitamin C serum (assuming it's high enough concentration) dramatically improves the skin by reducing pigmentation, reducing wrinkles, and by providing nutrients and moisture directly to the surface of your skin. It's hands down one of the most important products for any skincare routine. The only downside to using Vitamin C serum is that it can be expensive and it doesn't always contain any extra or added ingredients. My favorite brand (Obagi C serum) only contains Vitamin C by itself, and while it's great, I really wanted to try out the copper peptides to see if they would make a difference on my skin. Super serum contains an almost equivalent dose of Vitamin C (your skin can't use more than 20% concentration) at 15% but also contains copper peptides, hyaluronic acid, and mushroom extract. I felt that the addition of these 3 ingredients probably outweighs the downside to dropping only 5% potency in the Vitamin C.
Super Serum is definitely loaded with ingredients all designed to help improve your skin. While it will most likely work for any skin type, I do think the ingredients below are particularly useful if you have hyperpigmentation, wrinkles, and/or aged/damaged skin. My personal opinion is that this product is probably better for older skin (40+) but it can still definitely be used if you are younger (like in your 20's to 30's). In fact, using a product such as this, when you are younger, will definitely help your skin to age gracefully. The active ingredients in super serum do the majority of the heavy-lifting, while the inactive ingredients simply act to carry and stabilize the active ingredients. Ascorbic Acid (Vitamin C) 15% concentration - Designed to lighten, brighten, and firm up the skin as it increased collagen and elastin precursors in your skin. Copper tri-peptide growth factors - Helps regrow damaged skin and protects your skin against damage. Hyaluronic acid - Helps bring moisture to the skin helping to keep your skin plump and round. Arbutin - Natural lightening agent which treats hyperpigmentation. Mushroom extract - Another natural lightener to help even out skin tone. Because super serum is really a Vitamin C serum with more advanced ingredients, I used it predominately at night. The logic here is that Vitamin C is particularly sensitive to light and the light can damage and reduce the effectiveness of the Vitamin C as it's on your skin. If you apply it at night, right before you go to bed, then you will minimize the sunlight that hits your face which may increase the potency of the product. In addition, I tend to wash my face and tone it at night right before bed so it just seemed like the perfect time to use it! You can probably get away with using it in the morning if that works better for your schedule (many people do this), I just seem to think it works better at night. *Note: this is how I approach using any product with Vitamin C in it. The only thing you really need to do is to make sure that your face is cleansed and toned prior to applying it. Any sort of gentle cleanser will work (including the gentle cleanser by iS Clinical if you like that one). The only downside to using it at night is that there is a theoretical risk that you might be losing some of the product to your pillow as you sleep and roll around! I don't think this to be a big deal with me as long as you let it dry before you go to sleep but it's certainly worth considering, especially if you are an active sleeper. My Thoughts & Will I Continue? 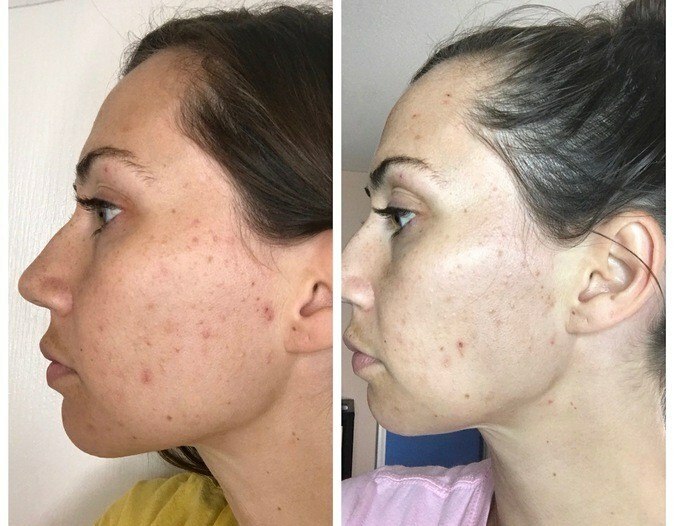 I plan to continue using Super Serum advance + for another 6 weeks (to round out 8 weeks total) and I will update this blog post with another picture to compare my initial photo to my 8 weeks after photo. I have a feeling that I will continue to experience even better results as I use it, especially since many skin changes take at least 4 weeks to kick in. I was just really excited and wanted to write down my thoughts as soon as possible. With that in mind, here is what I'm going to do over the next 6 weeks or so. Where can you get Super Serum Advance +? You have a couple of options if you are interested in trying out this product. The first place is on Amazon. You can get the real deal at this link here (link to Amazon). If you want to use a different route you can also get it through an authorized retailer of iS Clinical facial products. This will usually be available at a cosmetic dermatologist, plastic surgeon, or med spa closest to you. I would definitely recommend that you call before you head in, though, just to be sure that they carry it. While I am very happy with my progress and I definitely love it so far, but I'm not sure if I will continue it daily after the next 60 days or so. The reason has to do with the fact that I want to limit the number of products I put on my skin and I want to give the Active serum a shot to see if that works better for my skin. I have to keep experimenting to share what I find with you guys! Super Serum Advance + is a great product and one that I will continue to use. My main reason for using it? Hormonal acne, oily skin, and congestion. I am very happy with my 14-day progress and plan to continue using it each and every day for another 60 days (I will post another picture at that time). I would definitely recommend this product especially to those women who are suffering from hyperpigmentation, aged skin, and acne! Have you ever used super serum advance +?